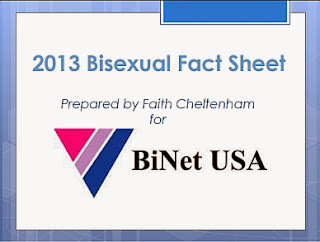 BiNet USA's Blog: [Op-ed] Are Bisexuals the glue that holds Poly together? [Op-ed] Are Bisexuals the glue that holds Poly together? I have been having this conversation with some folk about polyamory and bisexuality. The short story is that there was a question as to whether it was rare to see relationships of two men and one woman, and why that is the case? While there were many responses to that question the observation was made that in a situation like that where there was two men and one woman, it would be easier for the group to be str8 because of the fact that one woman can easily handle two men. But in the reverse situation where there were two women and one man, it would be advantageous for the women if they were bisexual since the man will probably be incapacitated at some point leaving both women longing for more. At this point in the conversation, someone made the comment that while bisexuals aren't necessary to whole poly relationships together, they certainly do help. That got me to thinking. 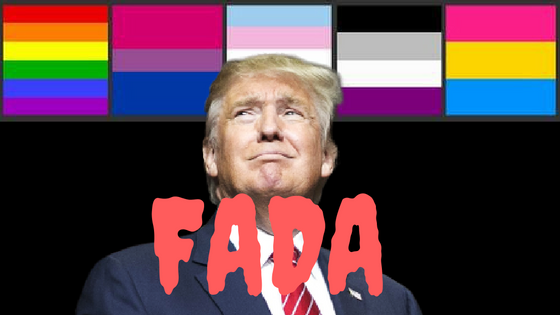 In most poly situations I know of, the folk ARE bisexual . . . . but that may be because I am bi and therefore have a natural affinity for bi community. Perhaps the majority of poly folk aren't bisexual, I don't know. That's why I am posing this question. Are Bisexuals the connection that makes triads, and quads, so common? Not to say that we are needed for poly relationships, but if you remove the bisexuals from the equation . . . . would the numbers of poly community be drastically reduced or just unnoticeably reduced?